And this is just one among their interesting observations. 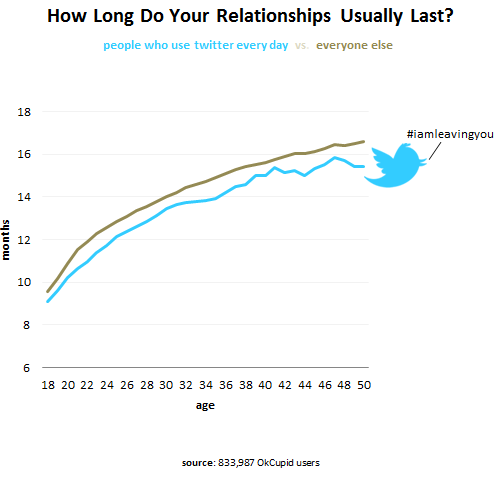 Find out the Interesting 10 charts here - blog.okcupid.com So has Social Networking ever effected your Life? Think for a moment, and Please do comment!